Valedictorian Kate Ruediger delivers Farewell Address. NEW HAVEN, Mo. 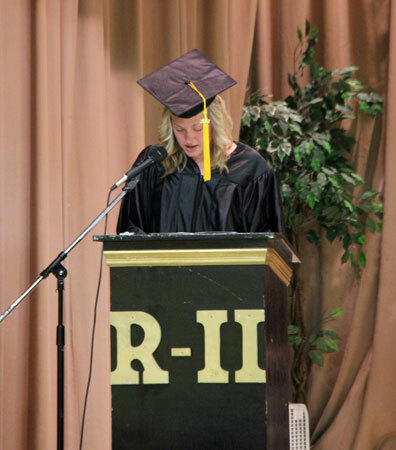 - Thursday night Franklin County R-II School’s Eighth Grade Graduating class ended one chapter in their life as they said goodbye to a school where they first began Kindergartener ten years ago. 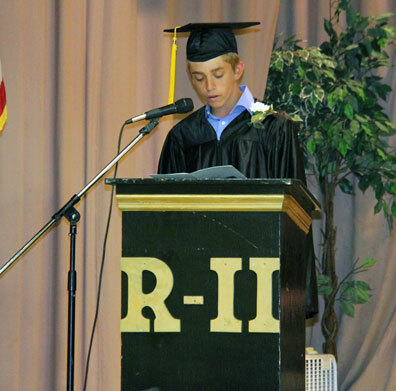 Eighth Grade Graduation at R-II is unique compared to other schools in that students are leaving the K-8 school and will be attending different high schools next fall. 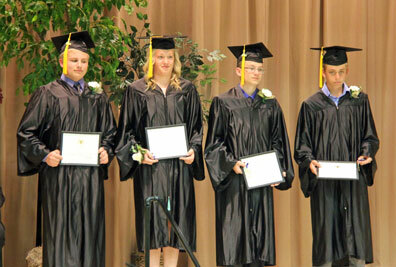 As Buchheit mentioned, Thursday night was likely that last time the class of 2014 will all be together. Ruediger finished by saying, “As we go our separate ways, I wish you all the best of luck in high school. So in closing I would like to end with a quote from an unknown author. "Nothing in this world is handed to you. You have to go out and get it. Nobody said it would be easy but hard work always pays off." Pictured below are the receipts of the Presidential Academic Award and Honor Students who graduated with a GPA of 9.5 or higher on an 11 point 0 scale.